Have your cosmetics ready to go to save time in the morning! Cosmetics are not easy to store when you're living in a college dorm room. You don't have enough room on your college dorm dresser to have all of your bottles and palettes set out for every day use. Plus, going back and forth between the dorm bathroom and your dorm room with all of your cosmetic items in your hands isn't very convenient. In fact, doing that can be costly because you can easily drop all of those bottles and palettes on the dorm floor, causing them to break and be replaced. 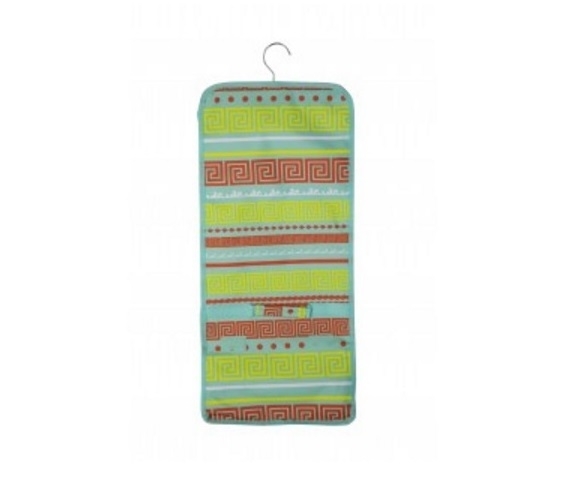 Keep all of your cosmetics in one easy, portable dorm essentials item with our Greek Key Turquoise - Cosmetic Bag. 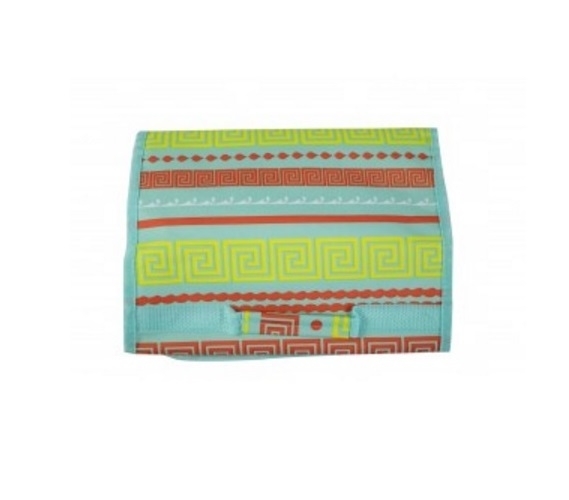 Our Greek Key Turquoise - Cosmetic Bag has a cool looking design with an intricate multi-colored pattern that will add extra style to your morning routine. 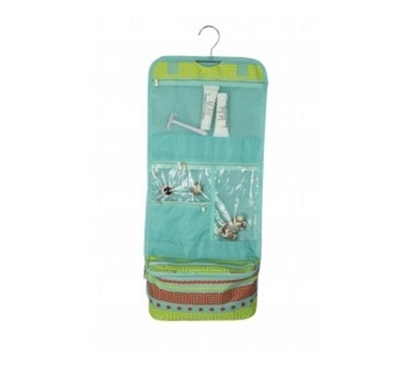 This dorm necessities item can be hung up in your dorm closet for compact dorm room storage or it can be folded up for easy transport between your dorm room and the dorm bathroom. The Velcro straps on the outside of this dorm necessities item will even allow you to take it on weekend trips home with your family and friends. With 7 zippered pockets, you don't have to worry about your cosmetic items falling out, plus, you can keep them organized and separated for an easier morning routine!